A protest by a group of black schoolgirls at Pretoria High School for Girls has sparked similar protests at schools across South Africa, a country that has sought to make progress on racial cohesion since the days of apartheid. A protest by 13-year-old Zulaikha Patel and some classmates has sparked debate across South Africa and beyond after an Instagram video showing them in a stand-off with security guards at the school went viral. 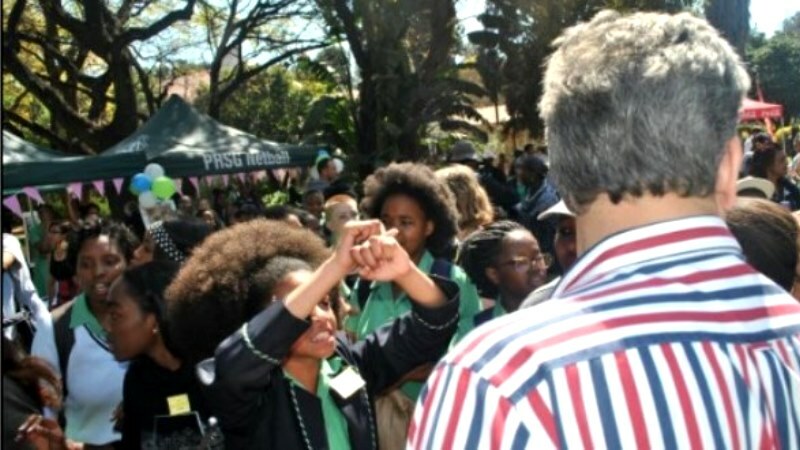 CNN reports that the Pretoria High School for Girls students spoke out after they were told by teachers that their hair is "exotic" and that their Afros needed to be tamed. "The issue of my hair has been a thing that's followed me my entire life, even in Primary I was told my hair is not natural, it's exotic, my Afro was not wanted or anything like that and then the issue followed me to High School," Zulaikha Patel told CNN. "Learners feel that they are not allowed to wear Black hairstyles, such as Afro. Specifically, the school policy limits the length of the hairstyle, and this is arbitrarily interpreted by the educators. The learners feel that educators use abusive and demeaning language when they address them regarding their hairstyles. For instance some educators tell them they look like monkeys, or have nests on their heads." Other reported concerns surrounded the banning of African languages, while other students are allowed to speak Afrikaans; as well as reports of racial abuse and victimisation by white teachers and classmates. The Department of Education indicated that a formal three-week investigation will be launched and that it will take action based on the recommendation of that probe. It added that the Code of Conduct of the schools must be reviewed and the clause dealing with hairstyles should be suspended in the interim. Meanwhile, the Congress of South African Students is calling for a single code of conduct countrywide. The Government's education spokesperson Oupa Bodibe told CNN that with students being majority black and teachers mainly white, "This situation has been long simmering; it finally boiled over this weekend."